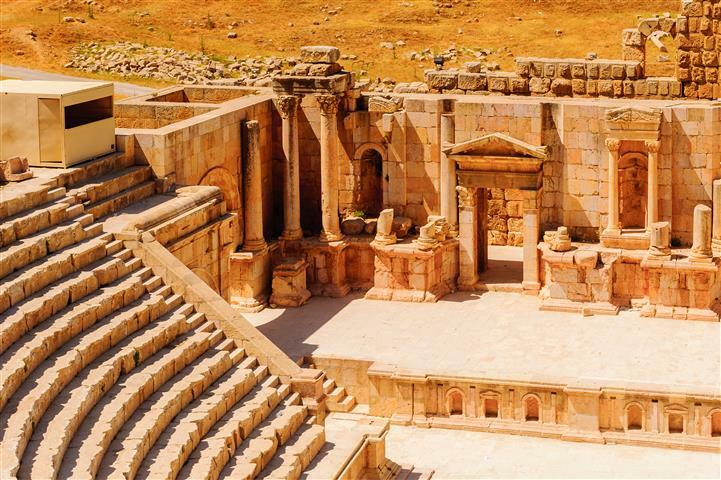 Jerash was founded by Alexander the Great. After the Roman conquest the town started to prosper. 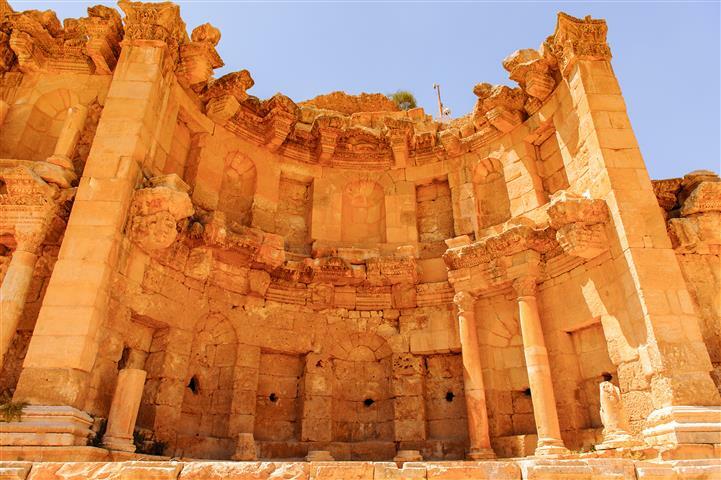 There are many sites to tour, and many artifacts that were excavated, including beautifully made ornamentation, and the astounding number of columns. 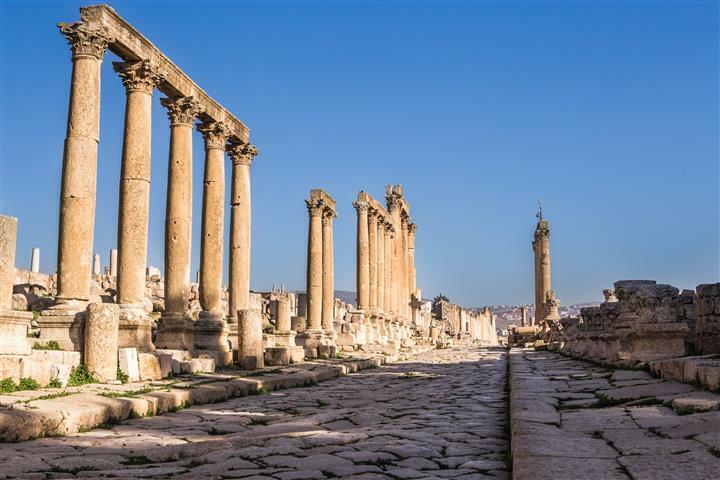 At about 09:00, a driver will take you from your hotel in Amman, and start the driving north to Jerash. This town was often called Pompeii of the East. 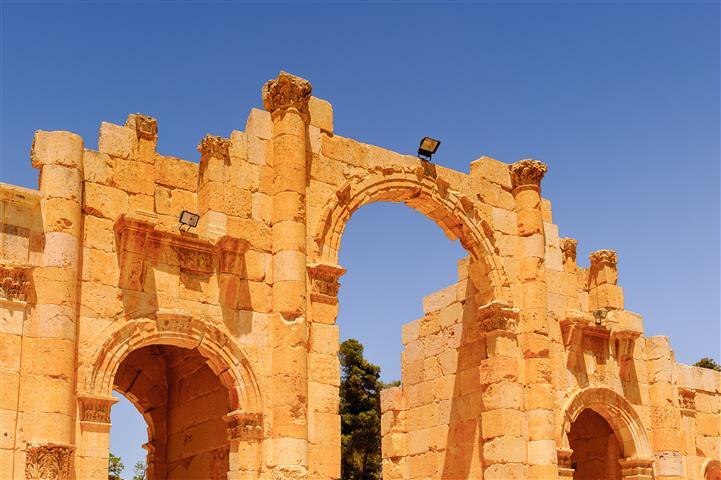 Tour Hadrian’s Arch that is at the entrance to Jerash, it was built in 130 A.D. to honor the visit of Emperor Hadrian. See the Hippodrome that was built with 15,000 seats for the spectators. Continue on to the Temple of Artemis, it was built on the highest points in Jerash, and dominated the whole city. It is still a beautiful monument today. Its columns are 12 meters high and each one weighs 20-40 tons. 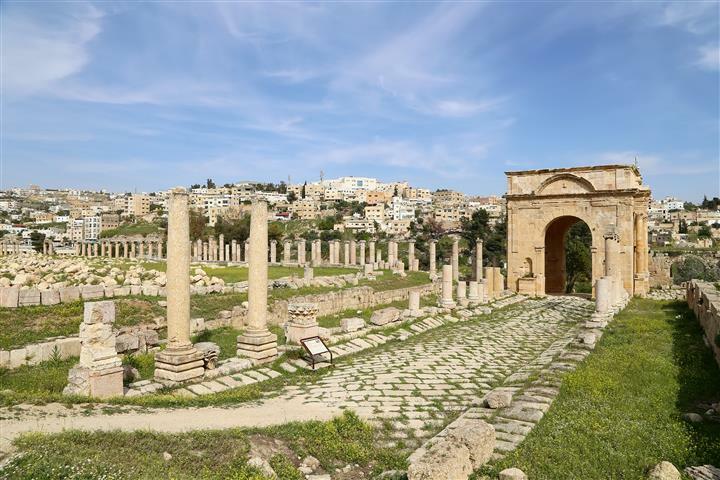 We will also tour the Colonnaded Street and the Nymphaeum that was built in 191 A.D. After the tour, return to hotels in Amman.